Blog - Page 2 of 3 - Communicating- Today's Way, Inc.
“YES” To Having Captive Audiences! Isn’t it great when you have a captive audience? When your listeners hang on to every word you say as you speak to a group or even just a single individual! There are some people who experience this magic every time they speak. You can probably think of a few right now who always have people stop and listen to every word they say. The good news is that it doesn’t always require “magic” to experience this yourself. 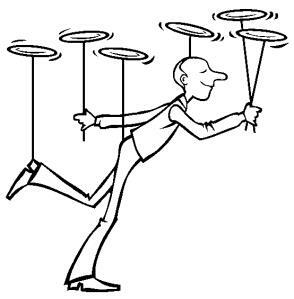 There are multiple ways to go about experiencing a captive audience. As you begin to implement one or several of the available “ways” you’ll start seeing an increase in your connectivity. Slowly but surely … you’ll experience a captive audience all the time! So what is it about stories? What do stories do? First they get your attention, directing you away from where you are. Then something happens as the story unfolds. Lastly closure is provided. Each segment flows to the next. AND within each segment, each sentence connects and flows to the next as do each of the words used in each sentence … bringing you into the “tide” of the story, and keeping you there (via the structure) until the ending! When a story ends, you walk away with a complete A-Z communication that via its completeness has been listened to and heard. The pieces “connect & flow” AND MOST IMPORTANTLY the “communication” is remembered because of the “closure” that is used. How often, when asked to describe a book or a movie, do you maybe get fuzzy on the pieces of the “happening” but you can always share how it ends …right? The story structure works wonderfully, as you would expect, when telling an actual story and/or when putting your marketing message into a story scenario. BUT ALSO, the story structure works wonderfully in ALL types of communications. Simple: ATTENTION! HEADS UP! PICTURE THIS! Targeting: Are You A 45+ Year Old Runner? Introduction: A love of soccer is sweeping the USA!!! Actual Story Telling: A Financial Planning client came into my office today. His pain was great and his stress level high! Simple Statement: See You There! Call To Action: Buy Now! Direct WHY: To Your HEALTH! A Result: They lived happily ever after. 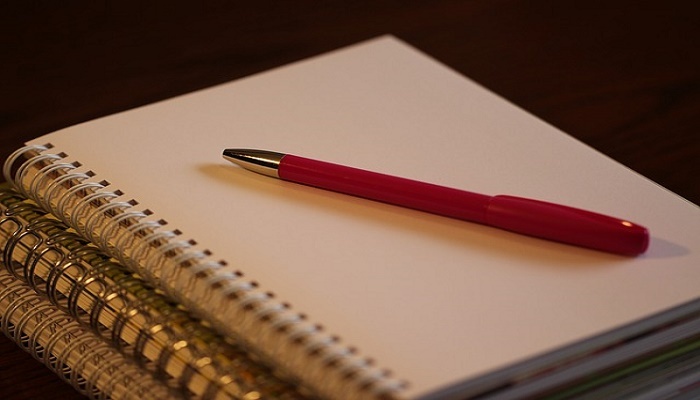 With partial story structure – using Opening & Message only. Greetings! Have a wonderful day. This can work, i.e you can get by with this. Does it captivate? With complete story structure – adding a “closure” with the WHY. Greetings! Have a wonderful day. You deserve it. Quietly say both of these greeting to yourself as though you are receiving them from someone else and see if you experience an extra “bond” when (the why) “you deserve it” is added at the end. Specifically including the “why” … not assuming it .. provides immediate clarity for “connecting!” AND I ask you, which greeting “captivates” you more? There are so many ways to apply the story structure to your business communications for having captive audiences. Turning your marketing messages into stories is an obvious and very KEY way. Structuring “ALL” your communications around the story structure is a bigger way that will enable you to tremendously increase your connectivity with all audiences both online AND offline. If you are catching on to what I am sharing, start creating your communications with the story structure and let me know the differences you experience. This post will be here for a long while. Just come back and comment. In today’s business world, making less than “complete” connections with your audiences is almost equal to making no connections. There is just too much information out there. You can’t afford to be lost in the crowd. You must know how to “captivate” will all your communications. Join me in saying, “YES” To Having Captive Audiences! About me: I’m your “go-to” for knowing how to create effective online communications that will attract, connect, engage and convert online prospects into buyers. Also the creator of my signature “Content Mktg Power Workshop.” Added value: 20+ years in corporate voice & data sales & marketing plus 15 years as an entrepreneur. I “get” you! Are You Sending STRONG Communications? I’ve been talking about being ready for the 2nd half of 2016 and if you are ready. One ot the best ways you can be ready and better than ever is to concentrate on your communications. The more “effective” you make the communications you send, the more connections you will make and keep! So this week I am touching upon one piece of creating quality communications – I am sharing with you ways to know if you are sending STRONG communications and why you want to! Communications are the core of all that we do in business and life. Everything is a communication! Today our business communications are “live” and ever flowing. Marketing is all about providing fresh daily communications in social media and blog posts for connecting to buyers. The days of creating one message for one ad that runs for a month are fewer and fewer. Bottom Line: You have to know how to create effective messaging both online and offline! The question being asked above iin today’s title is, “are you sending “strong” communications?” If you are asking, “what does “strong” mean? Loud? In your face? Bold?” The answer is NO … none of these define “strong” as applied in this question. .If you look at the lights on your computer modem or router you can immediately tell if you have a strong connection/communication. When you are on the phone you can tell when you have a strong or weak connection/communication going on. When you plug in a new lamp and it flickers, you know you have a weak connection/communication going on somewhere within the process of the lamp turning the bulb on . It’s the same with human communications. You can tell when you have a strong or weak communication. Sometimes it takes being extra aware, as there is a buffer used by humans that lets a lot slide by. This mailing is beign sent to you with the hopes of encouraging all to be extra aware. 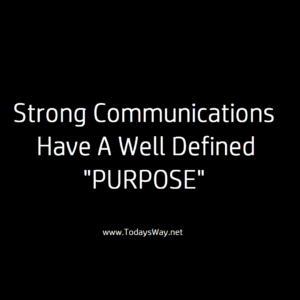 Strong communications have a defined purpose. Before they are created, a clearly defined “WHY” is identified for the communication. Strong communications start with the end in mind. You can not start out to make a connection unless you first know what you are connecting to. You must begin with knowing where you are going. Strong communications have no gaps. There are no “breaks” in strong communications. No starting and stopping.Only continuous “connecting” communications. Strong communications include no shortcuts. Communications are authentic, real, honest and complete! The Golden Rule for success with all online communications is to remove the need for the reader to have to think. No guessing. No grey. No shortcuts! Strong communications have no weak links. Communications are made up of words connecting to words and sentences connecting to sentences, and paragraphs connecting to paragraphs. If there is any weakness in any of the pieces as they connect , each one to the next one, it robs the strength of the entire communication. Strong communications have value.They communicate a message that is truly useful, meaningful, elevating, enhancing, and lasting, a message that remains in the minds of those receiving the communications. Reactions to a strong communication might be, “Right On!” or “You Got It!” or “That Hit Home!” or “YES!” etc. Take this list and use it as a reference as you create your communications. If you are not sure, feel like your communications are missing the “strength” you want them to have contact me! You can have a customized training created for you. It’s a must that you know how to create quality communications going forward and I am here to help you.